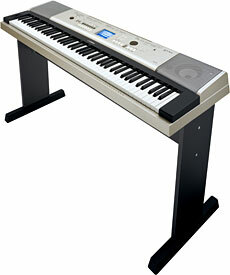 Yamaha’s YPG (Yamaha Portable Grand) digital pianos have been upgraded, to now include the YPG-635, YPG-535 and YPG-235. The YPG-635 includes weighted Graded Hammer action; the YPG-535 and YPG-235 feature a new Graded Soft Touch action and piano-style keys, providing top-quality playing experiences. 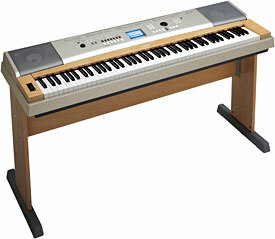 The 88-key YPG-635 is a weighted graded hammer action portable keyboard. Upgrades from the previous model include 64-note polyphony, a beautiful matching bench and an optional three-pedal unit, along with additional DSP (Digital Signal Processing) effects that enable realistic sounding Distortion Guitar and Rotary Organ. It also includes USB MIDI and USB to Device for removable storage, along with a high resolution Live! Grand stereo sample, song recorder, score and lyric display. The 88-key YPG-535 offers Graded Soft Touch action, USB connectivity and a stand, adapter and sustain pedal. Performance Assistance Technology ensures error-free performances and a Music Database provides complete keyboard setups by song title. The song recorder is easy to use, and five types of Master EQ allow players to adjust the sound. The model’s design accents also add an attractive touch. The YPG-625 will ship in June 2008. Models YPG-525 and YPG-235 are scheduled to ship in April 2008.